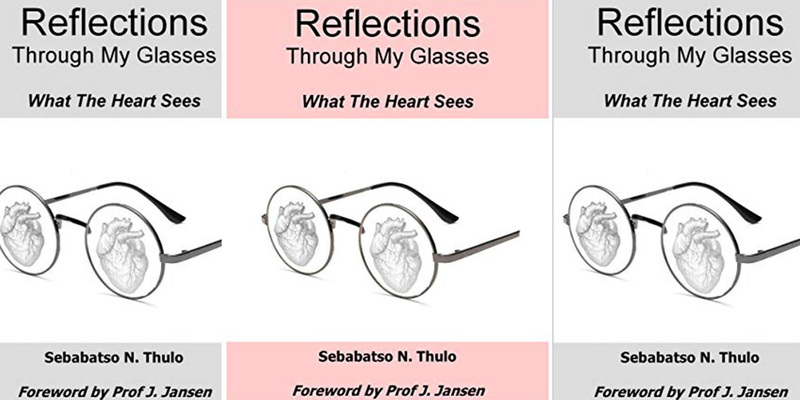 Reflections Through My Glasses is a collection of short stories by Sebabatso Naledi Thulo which looks at life through the lens of a young, black South African woman. It looks at her upbringing in boarding school and the women who have helped her become the woman she is. 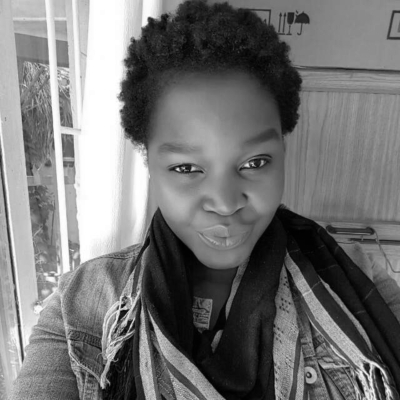 Sebabatso Naledi Thulo reflects on her life experiences, organising her stories around themes of love, responsibility, passion, nature, survival and God – among others. Each story is accompanied by her original poetry. She writes “My intention with these reflections is to make you SEE. May you read these stories and poems with your heart, may you feel warmth, love and encouragement as you read. I hope it shows you that your life is an experience and a story on its own. I hope it makes you smile, I hope it makes you think, but most importantly, I hope it makes you SEE”. In his foreword, Former Rector of the University of the Free State, Professor Jonathan Jansen, notes that the work focuses on the major themes of living, learning and loving, and suggests that these themes could have been inspired by her passion for education and the young people she works with in her province. Her stories convey messages of living, loving and learning. Her writing is filled with hope and optimism, for example, when she writes about her school-going years in boarding school and the 2015-16 student protests. The stories she tells are vivid and authentic, with many relatable human elements. She acknowledges the struggles that women have faced throughout the generations while also recognising their strength and perseverance. The two poems ‘Swart Meisie’ and ‘Women in My Family’ are such examples. There is a quick pause in both my steps and thoughts. Why am I uncomfortable, what is it that was so bad. I get to my room and I weep. I weep until there is a rhythm to my breathing because somewhere there is a mop and a bucket that swart meisie is using to clean a house that is not hers. Somewhere swart meisie is fighting to be seen as an equal. So I weep because ours is a story that is never told by the original authors. Because they would rather speak up and die than to let injustice take place because of their silence. Thulo describes her time at boarding school as an experience which brought her the most pain yet laid the most important foundation of who she is today. She teaches at an agricultural high school in Vryheid, where she runs a girls’ programme aimed at inspiring and motivating young women. She has a passion for writing and public speaking, and dreams of having her own talk show one day. This book calls for deep reflection in every one of us, a reflection that looks at who we are, where we are from and how far we’ve come. It a process which we need to do as a South African nation. Moreover, Thulo urges us to take responsibility for making others see, through how we live, love and learn. Like the writer, we have all witnessed hardship, suffering and injustice, yet we have also grown so much. We have a responsibility to tell our story in a manner that will make others see! For more information on the book and its availability visit the Perfect Love Publications website.